Recently, I shared that the dull ache in my back had returned and my sciatic nerve felt like it was on fire. These endometriosis symptoms have plagued me for years. A fellow endo warrior and friend messaged me, asking how I cope with the pain. After sharing some of my strategies, I mentioned that I had thought about writing a blog about this topic. I was nervous, however, to discuss “treatments” for endometriosis, as I am not a medical professional. 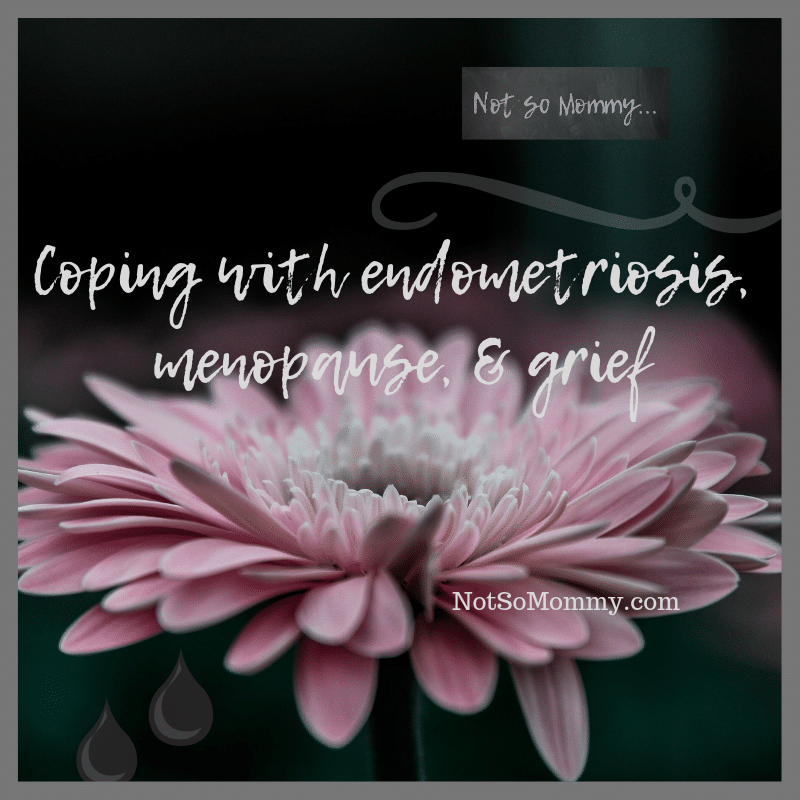 My friend suggested that I write from a personal standpoint, discussing “coping with endometriosis” strategies, rather than approach it from a treatment or medical perspective. Also, this is not a sponsored post. I am not getting paid by any of the products I mention. These are simply items which I am personally using to manage my endometriosis, menopause, and grief. In an effort to help others, I want to tell you about them so that you can conduct your own research. Remember! This information is not intended to be used as a substitute for professional advice. If you wish to try any of the products mentioned, you are taking full responsibility for your choices, actions, and results. My hubby and I have tried several different brands of essential oils. One of our favorites is Nexon Botanics. They have several premium essential oil blends that I find particularly beneficial. Because my endometriosis causes a lowered immune system, I use the Health Plus blend daily. Although my endo does not cause headaches, one possible symptom is migraines. My hubby, who suffers from allergy headaches, uses Zen Head to find some relief. Not only does my endometriosis cause a lowered immune system, but it also contributes to my hormonal imbalances. (Of course, menopause is playing a factor in this, as well.) After struggling for months, breaking down in tears, arguing with my husband for no reason, and having no better explanation than “I just don’t feel good,” (and this was before my friend passed away), we researched various herbs and supplements to help balance my hormones. Daily, I take a Female Hormone Blend, which contains black cohosh. Also, I take Dim Active, a hormonal balance complex. Finally, I take Adrenal Health, an herbal formula which helps maintain a healthy stress response. Although I still struggle with sadness (currently, often caused by my grief over losing my best friend), the “I just don’t feel good,” crying, arguing, don’t really know what’s going on with me gal doesn’t show up nearly as often since I started taking these herbs and supplements. Also, my husband and I started eating organic, non-GMO foods as much as possible. In fact, I visit two different grocery stores in order to buy as many organic fruits, vegetables, meats, and dairy products as I can. We drink only filtered water at home, using it in our coffee, tea, and ice-cube trays. Plus, we switched from plastic to glass water bottles in an effort to minimize BPA. Because endometriosis is also associated with an increased risk of heart attack and various cancers, I figure these lifestyle changes can only improve my over-all health. Yes, one coping with endometriosis, menopause, and grief strategy I use is drinking hot tea. My husband and I actually purchased three wooden boxes with dividers inside that are the perfect size to hold teabag packets. Every evening, as we relax in our snug, we each have a cup of hot tea, choosing from one of the over 40 varieties we’ve purchased. Two of my favorites are Twinings Nightly Calm and Pukka Love. If my endo belly is flaring, I normally choose Harney & Sons Hot Cinnamon Spice because cinnamon is good for digestion. Not only do I drink tea to help manage my endo belly, but I also try to eat a lower carb diet. Unfortunately, the sweets and pasta that I love, often cause my stomach to become even more bloated. While I do not completely deprive myself of Italian food and dark chocolate, I try to monitor my carb intake. For example, if I know we are going to have pizza for dinner, then I opt for hard boiled eggs for breakfast and a salad at lunch. Plus, my husband and I take a Carb Controller herbal supplement before eating high carb meals. And we eat a prune every day. There are times when my back pain is too great, my sciatic nerve is on fire, and/or my fatigue is so bad that rest is required. Normally, however, I try my best to attend my aerial dance class once a week. Even when my back hurts and I am tired, wanting to simply go sit in my chair, I’ve learned that if I will attend class and move for an hour, I feel better. Exercise does more to manage my stress than anything else. Because of this, I not only attend aerial class, but I also walk and have recently begun to do yoga again. Managing stress is vital for me because, I have learned, that stress causes my endo to flare worse than anything else. 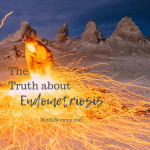 Since losing my best friend, I have had numerous endo flares. My back hurts daily now, plus my sciatic nerve has begun bothering me again. These symptoms had become rare occurrences before last September. Chronic fatigue is another symptom of endometriosis. Before last March, I did not know this. I always joked, “I like my sleep.” I never realized that the exhaustion I felt, the need to sleep in on Saturday, the inability to keep up with my hubby during our remodel… Well, it’s all associated with the fatigue caused by my body battling endometriosis. Now that I realize this, I allow myself to sleep an extra hour after my hubby in the morning. And I try not to beat myself up when I need to sleep in on Saturdays. In an effort to get the best rest possible, we diffuse Nexon Botanics Zen Sleep every night. Plus, I take Melatonin each night before bed. (I actually started this when menopausal side effects, such as hot flashes, started keeping me awake at night.) Also, I don’t look at my phone before going to sleep. Rather, I read, allowing the thoughts and worries of the day to calm. 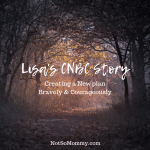 Near the beginning of this blog, I stated that I choose not to use traditional treatment methods of birth control and/or Lupron to manage my endo. I do, however, have a prescription for muscle relaxers, which I take when my pain is particularly bad. I am also considering having surgery. Because my doctor told me losing one or both of my ovaries (and perhaps my uterus) is possible, I have decided to wait—for now. As I am currently going through menopause, I’d like to allow my body to take a natural course, rather than throwing it into full-blown hormonal imbalance. I say all of this because each of us must decide (with the help of personal research, medical professionals, close friends, and family) the best methods to utilize in order to manage our symptoms. For me, coping with endometriosis, menopause, and grief (all at the same time) means using a combination of essential oils, herbs, supplements, tea, organic/lower carb foods, exercise, rest, and pain medication to manage a multitude of symptoms. Despite my best efforts, this does not always work, as stress (such as my grief) exacerbates my pain (especially in my back). Plus, stress makes me want to eat carbs, which doesn’t help my endo belly! Be kind to yourself, fabulous one. 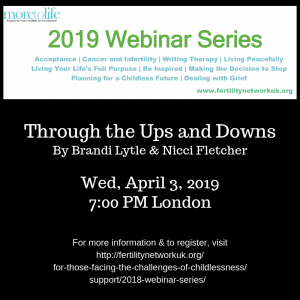 How do you cope with illnesses and difficult life circumstances, fabulous ones? Please, tell us about it in the comments. I purposely did not link to products and gave few brand names. I think it is important that you conduct your own research, finding the products (and brands) that are the best fit for you. I just read this after asking you for resources on coping with endo symptoms. I just started BCP constantly to skip my period. Figured I didn’t need that anymore now that we stepped off the fertility treatment train. I would love to not have a period but be able to get away from western medicine, too. Probably not going to happen, huh? Thank you for sharing your tricks, though! Although western birth control is the only way I know to not have periods, I do hope the “tricks” I shared help as you discover how to best manage your symptoms.